Little known in New Zealand, this superb male has now passed on leaving his undeniable legacy throughout many herds throughout the world. Ruffo was the “No 1” pick accoyo male at the 1994 Peruvian Elite sale, and was exported first to the United States, and later exported again, this time to Australia. 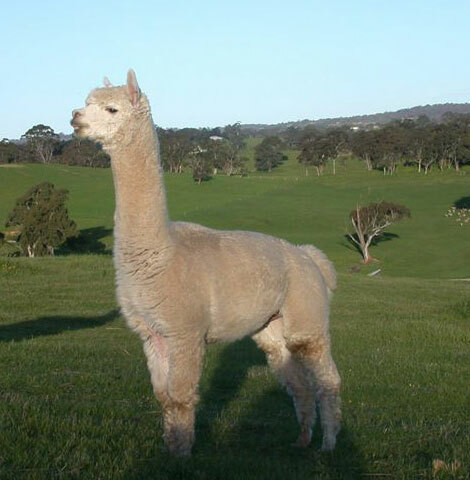 At the time he was shearing 17.8 micron spin fineness (at a time when the average alpaca was exhibited micron in excess of 23micron), and 8 years later this had increase to only 24.21 micron. Ruffo exhibited awesome attributes in fleece and conformation not to mention his ability to produce show winning progeny year after year!